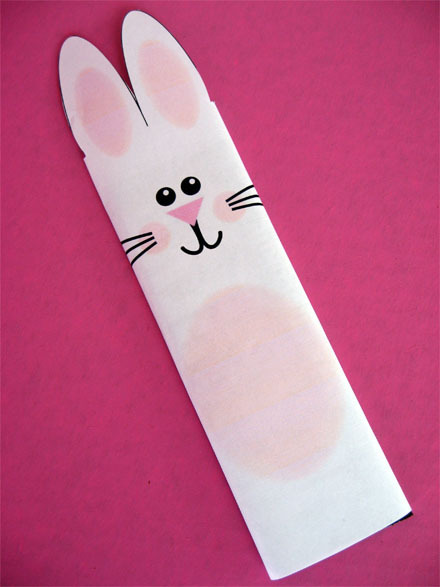 If you need a really cute and quick favor you can make these fun candy bar bunnies. These darling bunnies were designed by Katrina. 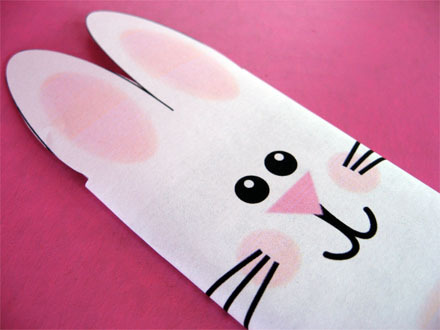 Download your own cute bunnies here. I like doing things like this for my daughters birthday goodie bags. Its nice to have handmade things in there instead of the pinata "filler". I love these! too cute! Thanks for the bunny wrapper idea. I am always looking for something new to make for my grandchildren. These are going to be a big hit! Thanks! Hey! So glad I found your blog!! Love love Love it!! These are super cute and so easy! I think I'm going to make these for the teachers for the Easter parties this week. They will like this better than the carrot shaped goody bags I'm making :) Thanks Katrina!